Before the living kidney transplant surgery, both donor and recipient have to agree that they want the surgery to proceed. All test results will then be reviewed by the multidisciplinary consensus team. This team consist of the consultant transplant surgeons, transplant nephrologist, transplant immunologists, transplant co-ordinators and psychologist. It is only when the results of all the testing are approved, by this group, that a date will be set for surgery. The Co-ordinator is responsible for ensuring that the individual aspects of the donor’s care, including pre-donation assessments and the surgery itself, run as smoothly as possible. The co-ordinator is aware of what stage each donor is currently at in their assessment, and whom is responsible for each part of the process. Simply put, she co-ordinates the different aspects of the process, from initial assessment to post-operative care, to ensure it runs as smoothly as possible. 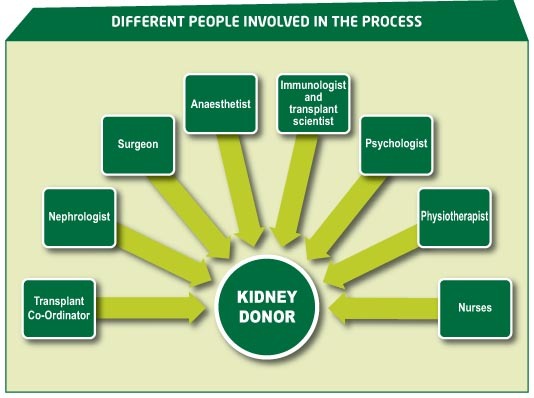 The consultant nephrologist is the person who, together with the consultant transplant surgeon, has to be sure that the transplanted kidney is likely to restore the health and reasonable lifestyle of the intended recipient and that the donor’s health would not suffer as a result. Donors and recipients will generally each have a different nephrologist. A team of senior transplant surgeons, one for the donor and one for the recipient, with another surgeon to assist, will perform the operation. The transplant surgeons must ensure that all the results of tests point to a successful transplant. They must also be sure that the donor and recipient are fit to undergo surgery with the minimum risk. 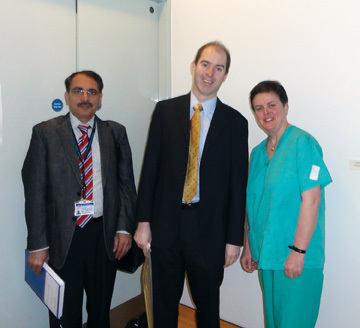 The surgeon who removes the kidney carries overall responsibility for ensuring the safety of the donor. Many important emotional relationship issues need to be considered in a living kidney donation. The psychologist is there to discuss them with the potential donor and offer support to donors at any stage in the process. The psychologist also has responsibility for considering whether a potential donor is under undue pressure or stress in relation to donation. The psychologist also examines whether potential donors are currently emotionally stable and how they are likely to cope with major surgery. administer the anaesthetic and to ensure the health of both patients during the surgical procedure. 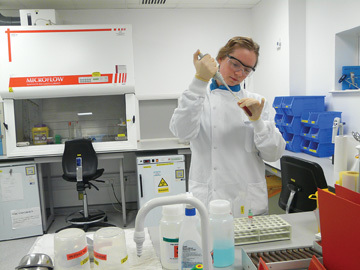 It is unlikely that you will meet the consultant immunologist and medical scientists, but there is a large group of people, in the laboratory, that are members of the transplant team. 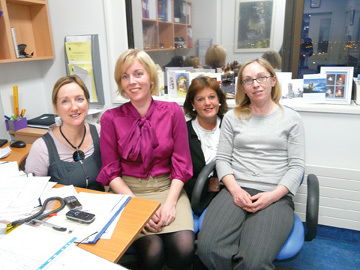 These scientists analyse your blood in detail to maximise the chances of transplantation success. After any form of surgical procedure, returning to full activity can be an uphill struggle. The physiotherapist can frequently advise on methods of making rehabilitation easier.